One of the most important investments you may ever make for your home is back up power. The truth is, you never know when your power is going to go out in your home. So whether it's weather conditions, a power outage at the plant, and you just simply forgot to pay your electric bill, having a backup generator on hand can save you during those cringe moments. Whether it's a stand-by or portable, proper care and maintenance of your generator will insure that it will turn on and operate smoothly when you need it the most. Below are a few basic tips to help you take care of your personal home generators in St. Louis. Whether you're using a standby generator or portable generator, it is always ideal to store it in a cool, well-ventilated area, with the fuel drained out. This obviously creates an extra step of having to fuel the generator when utilizing it during emergency situations, but keeping the tank clean and empty can keep gasoline from going bad inside the unit and hurting the components. If you decide to keep the fuel inside the engine, then adding a stabilizer will keep the fuel in much better condition. When storing a portable unit, place it in an area where it can be easily accessed and plugged in. Store all cables and accessories nearby. If your standby unit is outside, then purchase a cover for it to keep it safe from the rain and other elements outside. The question that is often asked is how often a generator should be given pro maintenance. This question can only be answered in direct correlation to the weather outside. If you generator is used exclusively as a backup for the main power during emergencies, then the need to maintenance it on a regular basis reduces greatly. 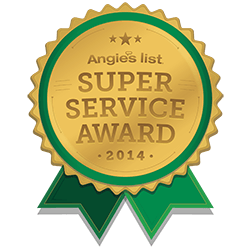 Ideally it's good to have either your standby or portable generator inspected at least once a year to make sure that all parts are functioning properly. 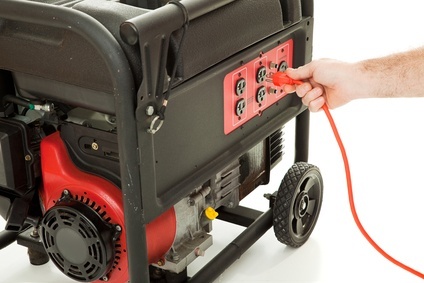 A portable generator will require the same type of maintenance as a standard small engine. A standby, however, will have added features such as gas line and electrical connections that will need to be assessed to make sure they are tight and working correctly with no leaks or damage to the cables. The key to getting the most out of your home generator is knowing how much wattage it can put out and what types of electronics or appliances it can power up with no problems whatsoever. This is essentially the main difference between portable generators and standby generators. So if you don't want to blow your generator, then you should know how much power it can generate and what is should be used for. For instance, portable generators range from 3,000 - 8,500 watts of power. This gives you the capability of running anywhere from 2-5 appliances such as refrigerators and window AC units. A stationary, or standby generator whoever can push upwards of 20,000 watts which is sizable enough to get electricity flowing into every outlet in your home and run everything simultaneously. If you are looking for landscape lighting in St. Louis then please call Anytime Electric at 314-280-0997 or complete our online request form.